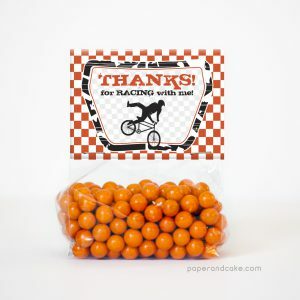 Orange and black check is the perfect backdrop to these BMX riders. 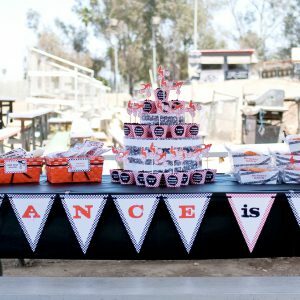 A ready-to-hang birthday pennant banner in black and orange check. 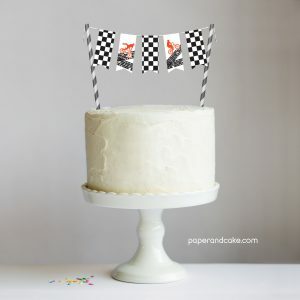 A ready-to-use cake topper with black check and orange bikes. 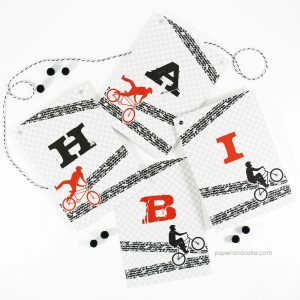 Ready-to-fill party favor bags in black and orange check.